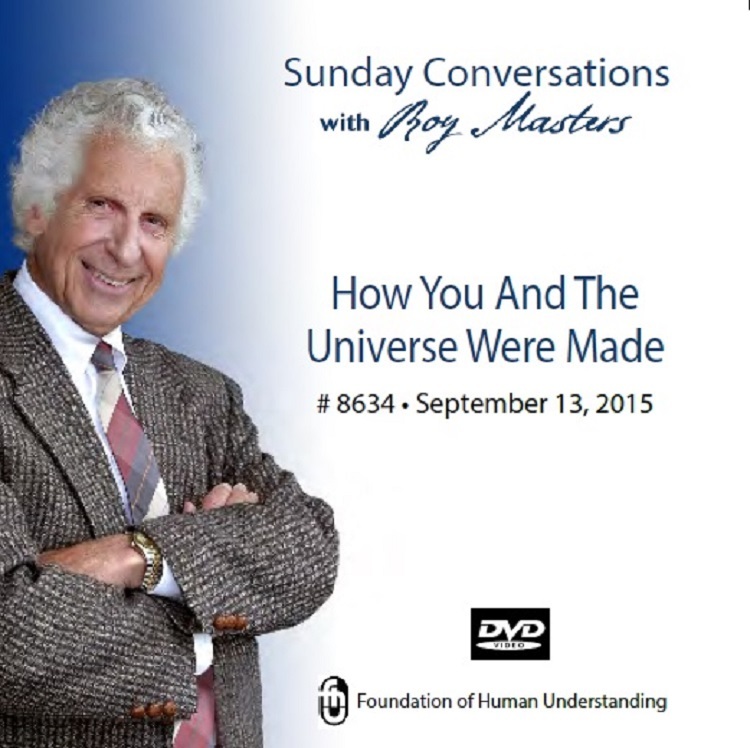 "How You and the Universe Were Made"
Most all of us enjoy being witnesses to history. This talk is that rare opportunity. You will want to record it, download it, get the DVD, or the CD, because it is something to preserve. Roy opens the talk saying, “There is something about truth that protects.” In the first portion of the talk, he tells the truth about what lies behind the creation of you. In the last portion, he succinctly tells the hidden truth of the universe. This is the talk you will want to replay when life doesn’t quite make sense, or when you watch a sunset or night sky and wonder why. Please pass it forward to your family, friends, and even strangers. Many of you will want to use your social media contacts, like Facebook. It’s definitely a keeper.